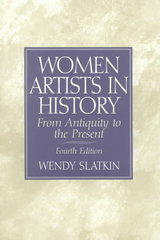 Women Artists in History 4 Edition This concisely written book introduces readers to the most recent contributions of women to the history of art from the ancient past to the year 2000. It also focuses on the roles of women as patrons and collectors—along with the ways in which women have been represented in imagery in different periods. Organized chronologically of western civilizations and the roles women have played in their visual cultures, it highlights contributions from the Middle Ages to the present. Coverage includes Europe from 1450-1800; 19th Century France, United States and Victorian England; the Post World War II Era; contemporary art; and a conclusion of global issues for women artists: past, present, and future. For artists, and art lovers looking to truly understand and appreciate the outstanding contributions of women to the field.